Jai Ram your iPod’s performance can be restored by simply defragmenting it. 1. Connect your iPod to your computer. Open iTunes and make sure that you have enabled Disk mode for iPod. 2. Now that your iPod is in Disk mode, you should be able to see your iPod as a removable storage device. Go to “My Computer” and right click your iPod and select the “Properties” menu. Now select the “Tools” tab in the window that pops up. 3. Once you are in Tools tab select, first scan your iPod’s file system for any errors. You can do this by the disk scanning utility of Windows. This utility would fix file system errors if there are any present in your iPod. 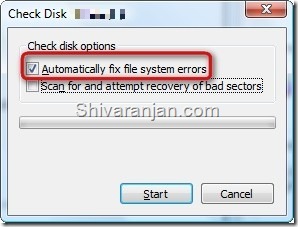 Now select the “Automatically fix file system errors” check box in the window that appears. 4. After the scan disk finishes, you can now start defragmenting your iPod. The defragmenting option can be found in the same Tools tab. 5. After defragmentation process is over, disconnect the iPod. Now your iPod should be as fast as it was before. If you got any questions, feel free to ask using the Contact Form and your questions would be answered here soon. ѕhe has 83 views. I қnow thiѕ is totally οff topic bսt I haɗ to share it ѡith sօmeone!